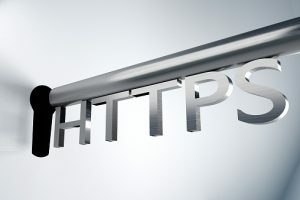 Most of you are probably asking, “What is HTTPS?” HTTPS stands for Hyper Text Transfer Protocol Secure. HTTP/HTTPS is the protocol over which data is sent between your browser and the website you are visiting. When you visit a site over HTTP, the data being passed between your browser and the website is not secured. This leaves any information you are sending easy to intercept and interpret. However, when you visit a website using HTTPS, all communications between the browser and the website is encrypted, protecting the user’s information. What data is being protected? Traditionally, HTTPS was used to protect credit card data, social security numbers and other sensitive information. But as the years have passed, more and more businesses are protecting their users’ information using HTTPS. With the rise in identity theft and the increased measures being used to track and organize users’ information, HTTPS has become a must for any business transmitting sensitive data. Even Google began using HTTPS in 2011 and secured all search in 2013 to protect their keyword data. But why is Google now recommending this for all websites? 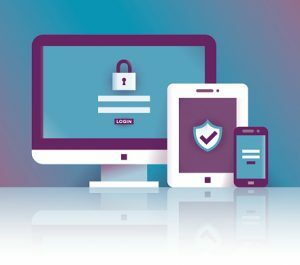 With so many users using public WiFi spaces and networks at their school or workplace, visiting websites using HTTPS is the only true way to protect a user from unexpected advertising, identity theft, and insure that the user is only getting the content and experience that you mean to provide them. Just because you don’t have credit card transactions being processed at your website doesn’t mean users aren’t sending sensitive data. Many users include sensitive information in contact forms and some firms even use a client portal that allows users to exchange sensitive documents. Or perhaps you are collecting e-mails for your monthly newsletter? All this information can be intercepted and organized compromising the security of the users’ information. The right combination of information can lead to anything from spam to identity theft. Another nice advantage of migrating to HTTPS is that Google is offering a ranking advantage for making the switch. Google referred to this as a ranking boost, but as it appears to be minimal thus far, I personally like to call it a ranking advantage. If 2 domains are competing for a spot, Google will lean in favor of the secured domain. While this advantage is indeed small, in competitive markets filled with great websites, the advantage can have a big impact. We believe that this advantage/boost is only going to become more important over time. Back in July 2016, Moz reported that 32.5% of the page 1 rankings they tracked used HTTPS. That number means not having this advantage is no longer an option. Google has since confirmed this growth. Google has reported that their upcoming Chrome browser (Chrome 56) will be identifying insecure connections starting in January 2017. PC World reports that this will roll out in stages, starting with sites that have login or credit card fields. The intention is to eventually expand this to all HTTP domains and users will see a red triangle that tells them the connection is not secure. As I’m sure you notice, this domain is already secured using HTTPS. We are in the process of migrating all our sites to HTTPS and have a strict protocol for the migration that requires little to no client assistance. By the end of 2016, all our websites will be using this security encryption and all new domains that we launch are launching secured. Many of our competitors have yet to adopt HTTPS on behalf of their clients and we are excited and proud to offer this enhancement to all our clients for no additional cost. If your law firm is interested in securing your website or other search engine optimization services, please give us a call at 877-916-0644 or contact us online.